The Izz ad-Din al-Qassam Cyber Fighters published a new message on their Pastebin profile , warning of a new round of cyber attacks against U.S. financial institutions, beginning this week. In September and October, al-Qassam launched widespread distributed denial-of-service (DDoS) attacks against numerous banking websites. 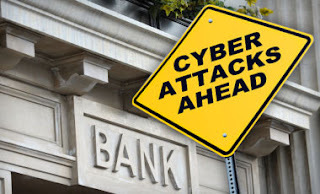 A Bank of America spokesperson told that the bank is "aware of the reports of possible cyber attacks and [is] monitoring [its] systems, which are fully operational.". Hacker said in new warning note ,"After stopping one month attack of Izz ad-Din al-Qassam Group to American banks, today, this group has announced a new cycle of attacks, via an Email which has been sent to us, and has acclaimed that its aim is to compensate guilty offends to holy Prophet of Islam, Mohammad(PBUH). Also, in internet conversations earlier, this group had been stated that these attacks won’t stopped and even in new announcements, it’s been marked that there will be so much stronger attacks in the days ahead." This phase two of DDOS attack serious named as "Operation Ababil" . Note describe, "the second phase of the Ababil operation is in ahead and from this week according to the announced plan, will be performed. In new phase, the wideness and the number of attacks will increase explicitly; and offenders and subsequently their governmental supporters will not be able to imagine and forecast the widespread and greatness of these attacks." "They didn't pay any attention to the extensive complaints made by Muslims against this offend and also did not take in to account their damaged feelings and behave with them so rudely. We know that they only marked the sensitivity and honor of the Muslims and examine it and now they really observe the consequences of this experiment so strongly." While the perpetrators behind the al-Qassam attacks have yet to be identified, the name is a reference to the armed wing of Hamas, although the entire group employs militaristic means and terrorist attacks. U.S. officials have said they believe the attacks are state-sponsored by Iran, but the cyber attackers still insist they are not working for any government.